“When I look in a mirror, I see a gargoyle.” J.M.W. 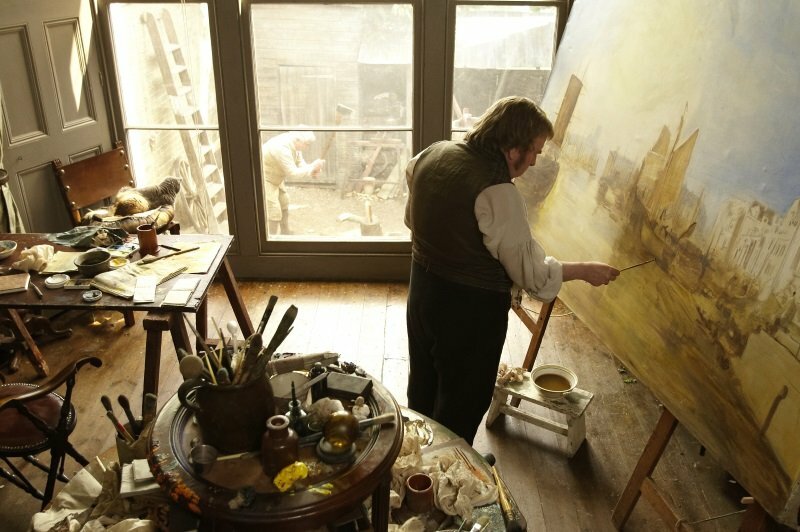 Turner, as created in the Mike Leigh’s film Mr. Turner and incarnated by Timothy Spall, is not what we imagine for a grand British artist. Burly, rough-hewn, with speech punctuated by grunts and snorts, he’s a man from working class stock who has acquired the necessary social decorum to interact in professional society but reverts to an almost primitive state back home. He’s abandoned his wife and daughters with little more than an allowance and turns to his maid for sexual release, but he also adores his father (Paul Jesson), is fascinated by natural science, has an almost spiritual connection to the landscapes he paints, and finds solace living in anonymity in a rented room overlooking the sea in a port town. This is only Leigh’s third film based on historical events and set in the past—everything else in his career has been contemporary—but like his other films it is built with his cast’s commitment to research and investment in their characters. The screenplay, which follows 25 years of his life, doesn’t follow any familiar storytelling structure. It’s episodic and Leigh never worries about identifying time or place as it moves through his life. You have to work to follow the narrative but Leigh’s interest isn’t on what he did when. It’s all about how and why he paints. Not that the answers are readily forthcoming; Turner is a fascinating conundrum right to the end. Leigh is more concerned with his nature, the details of his labor (and there is a true work ethic and complete commitment to his painting), the social culture around him, even the business of painting in 19th century England. It’s an immersion into his life and it is rich. Also on Blu-ray, DVD, and VOD rental through Amazon, Vudu, and Xbox Video. 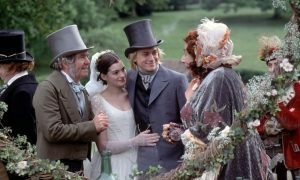 The Blu-ray and DVD editions feature commentary by director Mike Leigh, the half-hour featurette “Many Colors of Mr. Turner,” and a deleted scene. The Blu-ray also features the exclusive 16-minute featurette “The Cinematic Palette: The Cinematography of Mr. Turner,” which looks at the shooting, the art direction, and the digital cinematography and post-production coloring. Also available as Digital HD purchase and VOD rental through Amazon, Vudu, and Xbox Video.